Boyzone member Stephen Gately was found dead yesterday. The 33 year-old band member died after going out in Majorca. According to his close friend, Stephen went out for a few drinks, got home, fell asleep and never woke up. Boyzone manager and its members are devasted with the sad news. They are now on their way to Palma, Majorca to reunite with Stephen. 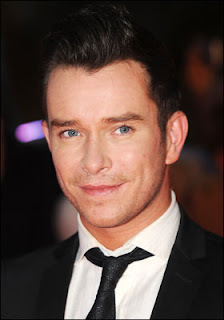 Stephen Gately is known in the music industry as one of the lead singers of Boyzone. He went solo in 2000 when Boyzone disbanded. He then appeared on many stage productions and television programs. Last year, Boyzone went back together and had concerts and recorded new songs. In 2003, Stephen had a commitment ceremony with Andrew Cowles in Las Vegas. In 2006, they had a civil partnership ceremony in London.